Trance Host Review 2019: Is Trance Host a Good Hosting? Trance Host is a long-standing Bangladeshi hosting business. If you need lots of additional features, you won’t find them here because Trance Host sells simple plans with a small selection of uncomplicated features. Founded in 2003, Trance Host is a Bangladeshi website hosting business that is a subsidiary of I.T. solutions company Trancetronic Technologies. This host’s website is in English. 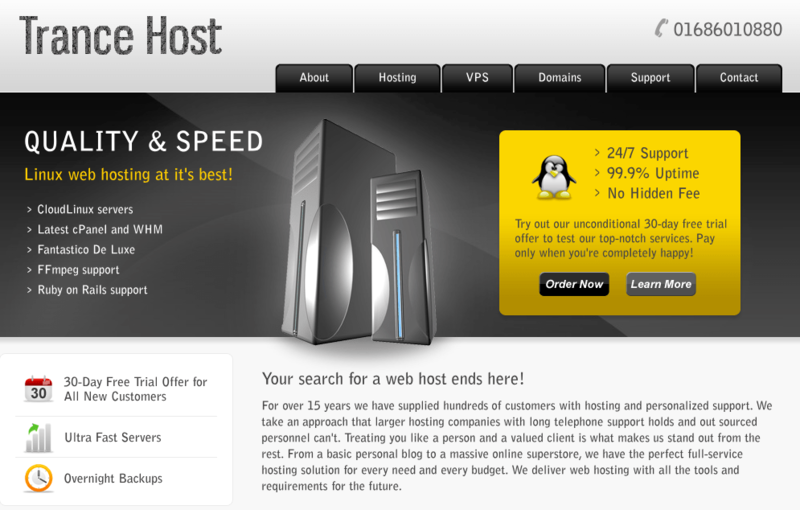 The hosting plans run on Intel Xeon-based CloudLinux servers with the widely-used cPanel control panel. The four shared hosting plans – Armin, Tiesto, Roger, and Elite – all include multiple MySQL databases and FTP accounts. SSH access is available only with top two plans. There is no website building tool, so the only notable feature for beginners is the Fantastico one-click installer. However, experts can also enjoy the support for CGI, Ruby on Rails, and Perl. Trance Host’s slightly blurred website (go see for yourself) and its simple hosting plans are both easy to understand. Although not the most feature-packed plans I’ve ever seen, therefore not suitable for everyone, I do like the simplicity of the plans that have no unnecessary add-ons or complexity. My main gripe with this company is the fact that the 99.9% uptime guarantee is not backed by an SLA (as confirmed by customer service). The plans are very well-priced. If you don’t need myriad extra features, and if 1 GB disk space plus 5 GB bandwidth is enough for you, then you can grab a really affordable plan. There is a 30-day free trial, which is an excellent way to get going with minimal risk. But getting going is not possible entirely online. 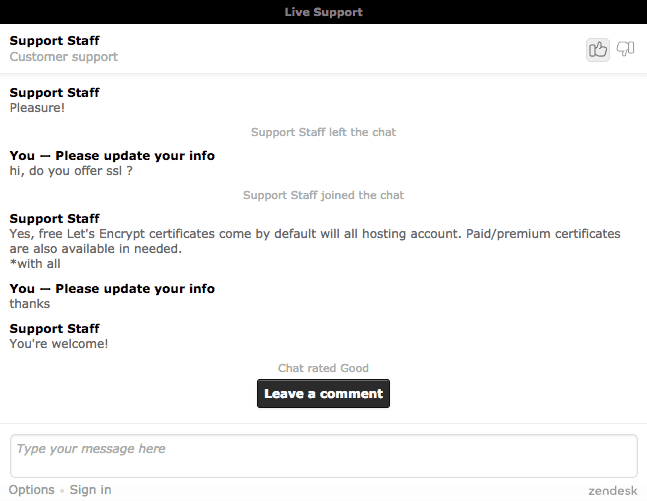 Signing up is a matter of emailing support, which, while not a huge problem, is a little inconvenient and very unusual these days. This hosting vendor is slightly let down by having a knowledge base that only answers three questions, but this is a budget brand, and you can’t expect everything at such a low price. Trance Host has been offering a simple selection of hosting plans since 2003. Whilst the uptime is questionable, and you won’t get every imaginable feature, this company offers uncomplicated hosting with excellent customer service and free migrations at great prices. Wondering how Trance Host stacks up against other Web Hosting companies? Enter any other Web Hosting company and we will give you a side-by-side comparison.